The epic bestseller and winner of the prestigious Aegon Literary Award in Hungary, Captivity is an enthralling and illuminating historical saga set in the time of Jesus about a Roman Jew on a quest to the Holy Land. 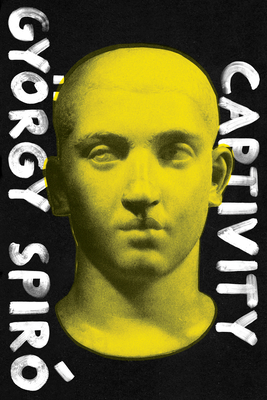 A literary sensation in Hungary, György Spiró’s Captivity is both a highly sophisticated historical novel and a gripping page-turner. Set in the tumultuous first century A.D., between the year of Christ’s death and the outbreak of the Jewish War, Captivity recounts the adventures of the feeble-bodied, bookish Uri, a young Roman Jew. Frustrated with his hapless son, Uri’s father sends the young man to the Holy Land to regain the family’s prestige. In Jerusalem, Uri is imprisoned by Herod and meets two thieves and (perhaps) Jesus before their crucifixion. Later, in cosmopolitan Alexandria, he undergoes a scholarly and sexual awakening—but must also escape a pogrom. Returning to Rome at last, he finds an entirely unexpected inheritance. Equal parts Homeric epic, brilliantly researched Jewish history, and picaresque adventure, Captivity is a dramatic tale of family, fate, and fortitude. In its weak-yet-valiant hero, fans will be reminded of Robert Graves’ classics of Ancient Rome, I, Claudius and Claudius the God. Tim Wilkinson gave up his job in the pharmaceutical industry to translate Hungarian literature and history. He is the primary translator of Nobel Prize-winner Imre Kertész. Wilkinson’s translation of Kertész’s Fatelessness won the PEN Club/Book of the Month Translation Prize in 2005. “With the novel Captivity, Spiró proves that he is well-versed in both historical and human knowledge. It appears that in our times, it is playfulness that is expected of literary works, rather than the portrayal of realistic questions and conflicts. As if the two, playfulness and seriousness were inconsistent with each other! On the contrary (at least for me) playfulness begins with seriousness. Literature is a serious game. So is Spiró’s novel."